As an Italian translator living in the United States, I write in English all the time: emails to customers and colleagues, this blog, articles and presentations; now even Twitter. I try to write as well as I can, but I'm well aware English is not my native language; to improve it I read and study books on writing and taking courses online or from the Teaching Company. If some software offers to help improve my writing, I am interested; I was happy, therefore, to agree when WhiteSmoke offered me a limited-time license if I would then write a review here on About Translation. WhiteSmoke makes heady claims of helping to improve your writing, using a mixed bag of tools: style, spelling and grammar check; dictionary and thesaurus; "writing enrichment"; writing templates. It even offers bilingual dictionaries and automatic translation. To run the program, you have to be connected to the Internet. The program only checks up to 3000 characters at a time (about 600 words): enough for a medium-size blog post, but not nearly enough for longer articles. You can check longer documents in sections, but that is awkward as it involves either cutting and pasting into WhiteSmoke's window or splitting your document across several files. The WhiteSmoke people boast their program is the best grammar checker available. To buttress this claim they sent me a document with a long list of errors that WhiteSmoke corrects while MS Word does not. I tested both programs against this list, and, indeed, WhiteSmoke performed remarkably better than Word. I was not, however, content with relying only on such cherry-picked sentences, so I also tested both programs against the list of errors used by Daniel Kies in his "Evaluating Grammar Checkers: A Comparative Ten-Year Study". Using Kies' list as a test bed, WhiteSmoke's advantage over MS Word was far less clear. Both programs missed several types of errors, and the suggestions they offered were sometimes misleading or wrong. Paradoxically, the suggestions by any grammar checker make the most sense to the people who need them the least: someone with a shaky knowledge of English can easily be led astray and implement with disastrous results some inappropriate correction. WhiteSmoke does not provide readability statistics, a feature offered even by MS Word that can help achieve a concise a more readable style. For a writing improvement program, this absence is puzzling. While several of the WhiteSmoke tools are useful (for example, the dictionaries and the thesaurus), they are easily available elsewhere. Nevertheless, WhiteSmoke does offer a feature not available in other programs: their "language enrichment" suggestions. Unfortunately, these suggestions can lead to a cliché-ridden style as they merely propose adverbs and adjectives to sprinkle in one’s writing – the opposite of what most books on style and writing recommend (remember "Omit needless words" from Strunk and White? Well, WhiteSmoke's enrichment is all about adding extra words, instead). Apart from the first day, I was unable to test WhiteSmoke's automatic translation service (the server was down every time I tried). From what I saw on that first day, the translation from English into Italian was worse than Google's. Anyway, I don’t see the point of adding machine translation to a program aimed at improving English writing – especially when several free translation sites are available, if all you need is gisting. 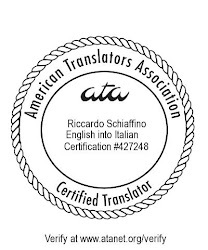 The translation tab sports a link to request “human” translation – while this is commendable (at least it implies that MT is not the way to get good translations), it leads to a site that offers translations at abysmal rates ($ 0.07/word for English to Italian, and other language pairs even cheaper). The bottom line: WhiteSmoke has some useful features, but most of them are available elsewhere (dictionary, thesaurus, spelling checker, automatic translation, even the writing templates). The enrichment feature is not easily available elsewhere, but, in my opinion, it is worthless. The grammar checker is somewhat better than MS Word. If that is important for you, then you might consider paying for the annual license (starting from $ 69/year). I have WhiteSmoke, too, and I find it very useful for grammar inconsistencies or typos: for some reason unknown I've never been able to install Word spell checker in English while having it in Spanish! However, I haven't tried the thesaurus or other functionalities yet. And I agree it's not 'fantastic' but, at least in my case, pretty good. Regarding your problem with 600 words, my version (WhiteSmoke Writer 2010) has a ' Check' button that takes me to a dialog asking me if I want to check the following paragraph. I invoke the program with F2. A grammar checker for non-native speakers of English was a favourite topic in the Lingua group at Microsoft in the early 1990’s but we weren’t very successful at pitching our idea! Eventually, a few years ago Microsoft Research started working on ESL Assistant, “a web service that provides correction suggestions for typical ESL (English as a Second Language) errors”. As explained in the beta announcement, the service “uses statistical models to suggest corrections for a number of common learner error patterns that are not currently supported by the proofing tools in Microsoft Office products” and “also tries to help users judge the whether a suggestion truly represents an improvement by showing real-life examples returned by a web search”. According to the FAQ, the tool currently deals only with a small set of errors: article insertion and deletion, preposition confusion, confusable adjectives, word order, noun number, verb morphology, auxiliary choice, gerunds and infinitives. Also, as far as I know, it was developed with a specific focus on East Asian languages and as such it is not yet terribly helpful with the typical errors made by Western European speakers. For example, if you enter the common “German” error *I know him since 20 years, the highest frequency suggestion is not very helpful and the other two are incorrect (real-life examples from non-native speakers?!). Riccardo, thanks for this thoughtful review. Although I am a native speaker of English, I am still interested in English grammar-checking tools as part of the quality-control process for my Italian to English translations. Errors can creep in at the editing stage, eg by changing a phrase but leaving a trace of the old expression behind which should have been removed. Often the eye sees what it expects to see, not what is actually there! Accordingly, I have looked into a number of grammar tools for this purpose (specifically Wintertree Grammar Expert Plus, Grammarly, Grammatica, RightWriter, Serenity Editor, Grammar Check Anywhere and Ginger), but have rejected all of them on the grounds of a combination of poor performance, quality, file format limitations, user reviews, etc. Have you found anything that's actually worth using (i.e. that's better than the Word grammar checker)? I haven't foud any grammar checker that is really worth using - although some catch more errors than others, they have too many false positives to be reliable. WhiteSmoke might be the best of a bad lot, maybe, but I still would not recommend it. A program for improving one's writing I do recommend is StyleWriter: it is not a grammar checker - rather, it helps you tighten up your writing, avoid overusing passive constructions and clichés. I really haven't been able to test the translation functionality (the server was down every time I tried). But if anything I think you would be better served using Google Translate (human translators - such as myself - are of course a better choice than any machine translation service or program). I have used WhiteSmoke for over a year now and I regret ever making the purchase. Not only does it make simply grammar checking errors, but the stability of the software is iffy at times. The latest version has caused real problems with my current set up. I have a dual monitor system and WhiteSmoke displays a large, non-closeable box on my second monitor. I've repeated contacted WhiteSmoke support for assistance and have been repeatedly ignored. Their only suggestion is a canned response of "reinstall the software." I had high hopes for this product, but it has been nothing but frustration from the beginning. Their support borders on nonexistent. Thanks Riccardo for helping me regarding the same. I may come back to you once i go through this software. Thanks for this useful information - very professional review. I have WhiteSmoke too, and I find it very useful for work and for my personal needs (writing letters or just chatting with friends). I would like to recommend readers on website which offer a free version of the WhiteSmoke Translator (WhiteSmoke Writer). Do yourself a big favor and run, don't walk, away from this product. Its grammar checking ability is abysmal and the companies support is non-existent. "Ananymous" Can you please clarify for which software are u referring here. is it WhiteSmoke only ? i also would like to know the feedback of WhiteSmoke that is why i would like to know. My guess is that "Anonymous" was referring to WhiteSmoke only. BTW, "Anonymous" should have written "company's" and not "companies." Maybe WhiteSmoke didn't catch that one. Daniel Kies of the Department of English, College of DuPage analyzed the development of grammar checkers over the past 20 years and found not only did they miss most errors, but they hadn’t improved since the mid-1990s. The evidence was also clear that grammar checkers did very little to improve writing. This is because you can have writing which is grammatically correct, but is terrible to read, or worse still, makes absolutely no sense. This is because grammar is a small component of the mix when it comes to written communication. There are many grammar checkers on sale these day and they all tend to claim far more than they deliver. They check for fewer errors than Microsoft Word’s inbuilt grammar checker using a one of the many off-the-shelf back-end grammar programs bought from companies such as Wintertree. But it’s not all bad news. StyleWriter 4 is an alternative to standard grammar checkers. StyleWriter is a plain English editor and has the world's largest database of style faults, plus extensive advice on correct word usage. It is not a grammar checker. There is little point in duplicating a feature every user has built in to their word processor. Also, I’d like to highlight that our software actually teaches people how to become better writers rather than just checking their documents. Go to my website www.editorsoftware.com for more detailed information, online demos or a 14-day free trial people can try out. Because we design and market the StyleWriter copy-editing software, we constantly get questions from disgruntled WhiteSmoke users. They usually complain bitterly about WhiteSmoke’s marketing hype, lack of support, poor functionality, the company’s dishonest approach and even spreading malware through insidious downloads and infections. We've brought together the common complaints from people dealing with WhiteSmoke to save you time, money and perhaps save your computer from WhiteSmoke's malware. 8. WhiteSmoke - Will the snake oil kill you – malware and viruses? 9. WhiteSmoke - Technical Support – I’m out getting a coke! Even though when I purchased the software there was no indication that this was a time-limited product, they canceled my license and, since WhiteSmoke only works after checking with its servers, it stopped working and now they want more money to activate it again. So WhiteSmoke is really a scam! Stay away! Once again: SDL, please increase your bandwidth!